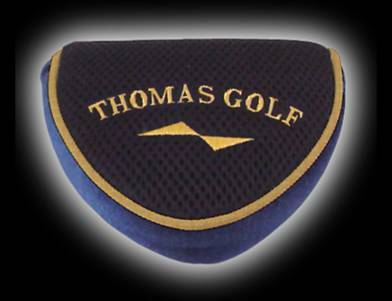 Traditional feel with standard head weight. Better target direction from the use of the unique bi-level sight lines.. The AT-60S is a new addition to the popular line of THOMAS Putters. 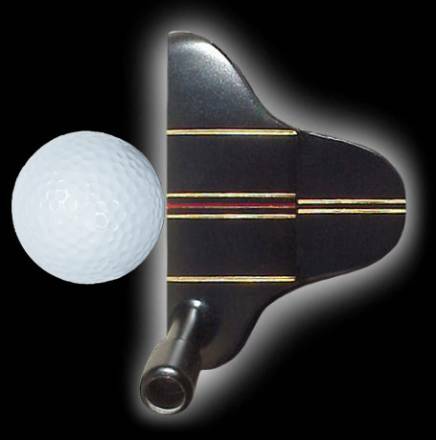 This mallet style putter provides extra weight for those who like to feel the head through the stroke. The unique alignment design offers exceptional visualization and accuracy. This quality Stainless Steel putter is complete with machined face and resilient urethane insert for improved feel and distance control. 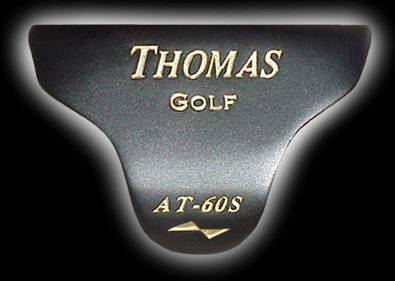 The AT-60S includes bi-level dual sightlines which provide exceptional alignment and ensure your head is correctly positioned over the ball. 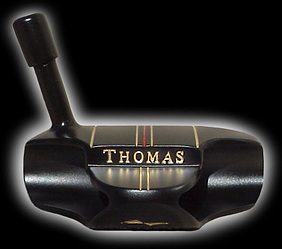 Aesthetically, the AT-60S putter sports a distinguished special Iodized black finish for a unique, attractive, and very durable putter head. 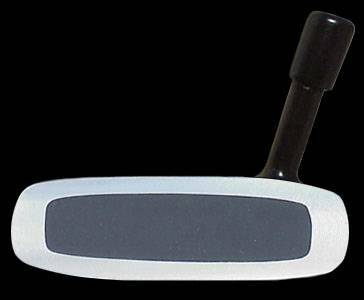 Loft: 3°, Lie: 74°, Head Weight: 345grams, custom length choices.